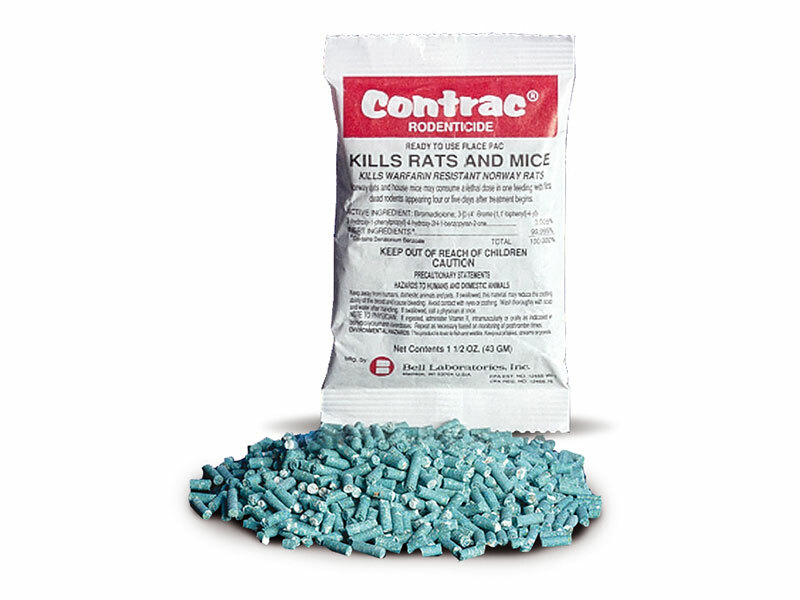 Contrac rodenticide is available in handy 50 g place packs. Made of polyglassine. Bait odour can escape so rodents readily gnaw into the packs themselves. The slender packs easily fit down burrows, in bait stations and in hard-to-reach places.